Excludes Stepside [?] What does Stepside mean? 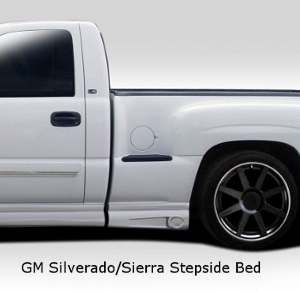 Stepside is a term used to describe the bed of the truck when it has steps in the side of the bed. 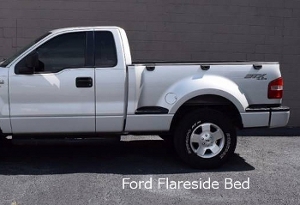 These beds are not as wide as a standard bed and truck bed accessories for trucks with standard beds will not work on trucks with a stepside bed. Without RamBox [?] What is a RamBox? The RamBox is a factory installed storage compartment available as an option on Ram trucks. The RamBox truck bed is significantly different from the standard Ram bed. 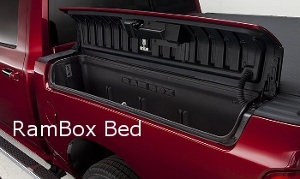 With that being the case, bed accessories like tonneau covers are built to work with the RamBox feature. Excludes Flareside [?] What does Flareside mean? 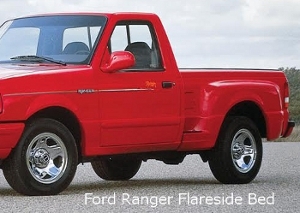 Flareside is a term used by Ford to describe the bed of the truck when it has steps in the side. It can also be referred to as a stepside bed. The Trail FX truck bed rails are constructed of polished stainless steel. They also feature a no drill installation via your truck's stake pockets. They are sold in pairs.